(DFAstrolS, QHP, CMA, ISAR CAP) from Ljubljana, Slovenia, has been professional astrologer since 1989, consulting, teaching, writing and researching. She specializes in traditional astrology. She is the head of the ISAR ­affiliated Astrological Academy Stella. Her articles have appeared in journals worldwide. 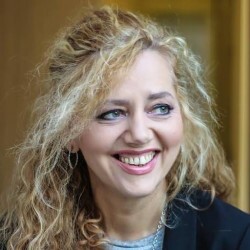 She has spoken at conferences in Slovenia, Serbia, England, India, Poland, South Africa and USA, and held workshops, mainly on the use of eclipses and declinations in personal forecasting and on horary astrology. Her book Horarna Astrologija was published in 2015. A romantic view of life and death, or a spark of a genius mind? Incidentally, Mark Twain died on April 21, 1910, the day following the comet’s subsequent return. And as “freakish” as it may seem, my research suggests that his birth and death were indeed powerfully related to Halley’s Comet. Not because the years of both incidents coincided with the appearance of the comet, but because the places of his birth and death were aligned with some strong ACG lines at the crucial points in the comet’s orbit. But for the reader to understand the rest, I must first introduce my technique. Before proceeding, let me say that I have always sensed that comets, like planets and fixed stars and asteroids and so on, surely must influence life on our planet. But how, when and where would those influences become apparent? Those questions remained unanswered, until I let my mind find the proper way of research, the right technique or “modus operandi”, so to speak. Since then, I have spent hours and hours calculating the various comets’ positions at the crucial points in their orbit and relating them to events on our planet. My research on the comets’ influence upon Earth has been mind-boggling, to say the least. My findings suggest that comets “cause” (or are synchronized to) an incredible high number of natural disasters and man-caused accidents. They are probably related to happy events as well, but much more research need be done before any definitive conclusions are reached. At then present point of my “travel” on the comets’ highway, I only stare at the incredible possibilities of research and discovery that the study of the comets has to offer. This research is not of a philosophic nature, but is based on astronomical facts. These facts, combined with the astrological theory of how certain planets affect life on Earth, offer a meeting ground of both sciences for which the present age may be just ripe. 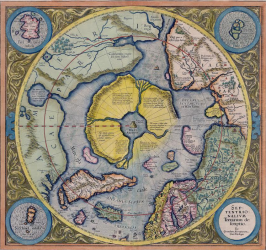 Indeed, if the academic world would humbly take time and allow consideration for the planetary influences which have been so thoroughly researched by the astrological community, a huge leap in both sciences would immediately take place. But for this to happen, the scientific community would first have to allow for the fact that if comets’ (as well as planetary) influence is to be researched and evaluated, they would have to stop observing the planets (and other bodies, including comets) just as some distant objects in the sky. They would have to acknowledge that the Earth can receive and respond to their passages through the sky only when the Earth-related celestial planes and planetary (comets’) orbits meet. After I realized that none of the charts, related to the comets, which I saw published on various internet sites, seemed to be related to important events on Earth, I came to think of the ancient mundane technique of “ingress”, this being the chart cast for the exact time when the Sun (or Moon or any of the planets) crosses the zero degree of the so-called “cardinal signs” (Aries, Cancer, Libra and Capricorn). Those points are, however, crucial only for the Sun. Since ancient times, astrologers have judged upon the upcoming events on the basis of the charts which they cast for the Sun’s ingress. This is only logical because the quality of life on Earth depends strongly on its relatedness to the Sun’s path which defines our seasons – and much, much more. 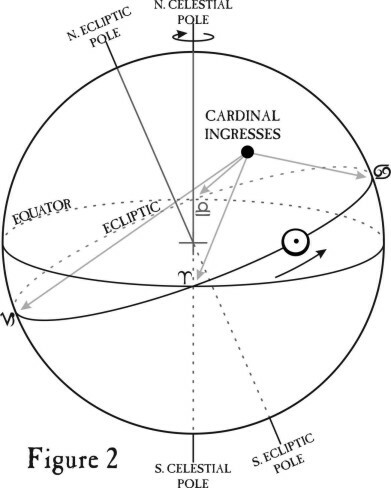 My research on declinations has shown, however, that the “true” lunar and planetary ingresses should not be based on the times of their entrance into the cardinal signs, but on the times of their crossings of the celestial equator and on the times of reaching the Sun’s maximum declination (north or south) – with the latter varying from year to year, even if by just seconds or arc. 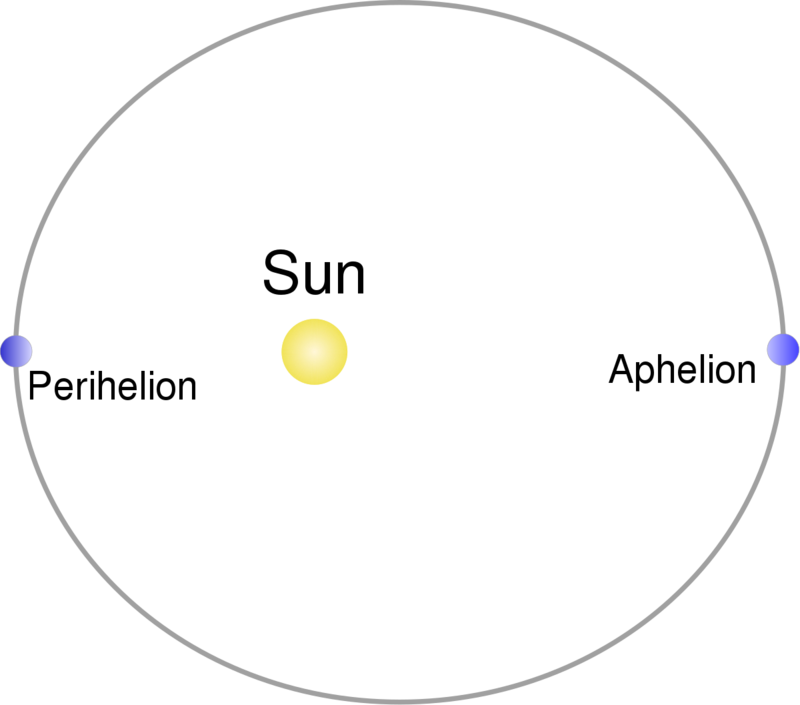 Celestial equator, as we know, is the great circle on the imaginary celestial sphere which lies in the same plane as the Earth’s equator. In other words, it is a projection of the terrestrial equator out into space. As such, it is a crucial celestial plane which responds sensitively to the passage of celestial bodies. But since nothing happens in isolation, I have decided to base my study of the comets on the planetary positions calculated for the times when the comets cross the celestial equator (from south to north or from north to south) and for the times when they reach the Sun’s maximum declination (north or south, passing further north or further south) each particular year, calculated to the last second of arc for every year in question. I should add that I have decided to test the comets’ influence against the southern and northern yearly maximum declinations of the Sun because I think that it is perfectly astro-logical that the moments at which comets come into the “solar region” – or at which they leave that region – are crucial for the influence they exert on Earth. Therefore I calculate the exact position of the Sun at maximum declination for each year. I do this by help of an internet declination calculator. For a period of several days (about a week), surrounding the comet’s crossing of a sensitive point in space (see above), the weather experiences abnormalities. 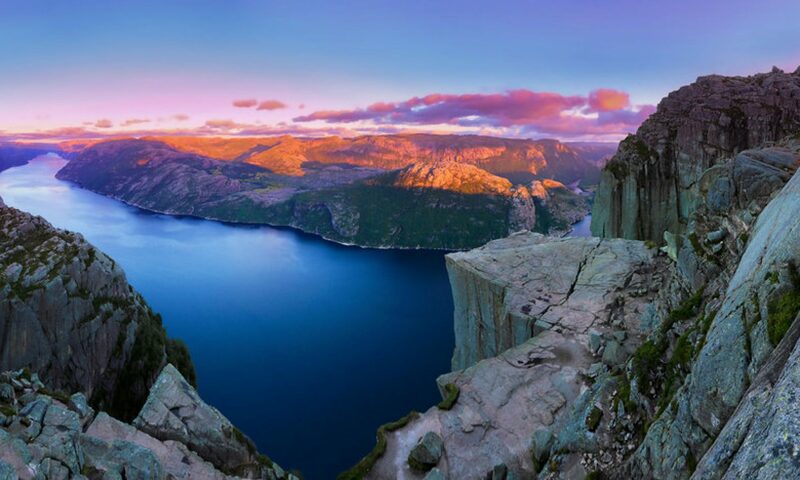 Generally, the air gets clearer and the winds abound. Windy weather seems to be especially related to comets, causing worsening of the existing weather conditions. While some regions experience unusually fair weather, caused by the clear air and lots of sunshine which consequently reaches grounds, other regions experience extreme worsening of weather conditions. To determine locations on Earth which are affected by comets’ crossings, we need to draw ACG maps, based on the charts for the exact times of the crossings. The procedure is the same as with any mundane chart – we observe planetary placements on all the four angles for the time of the mundane event. My research has shown that the regions affected by bad weather are most often those which have the lunar node, Moon or Saturn on any of the angles, or are in square of these points. The nodes have an especially large orb of influence, up to some 500 miles to east and west, but more research has to be done in this respect. We must bear in mind that the winds move at high speed, so the nodes may point to the locations of the origin of weather disturbances and not to the places which are consequently affected. Fair weather is “caused” by the Sun or Jupiter on the angles, or in any aspect with these points. Typhoons and other weather extremes caused by strong winds: node/MC and north node in the 10th (west of the node/MC line in ACG maps). Heavy snow and low temperatures: Saturn/IC; Saturn on other angles ie lines. Earthquakes: all lines, especially Uranus. Vulcanos: Pluto and Uranus on various angles, especially IC. 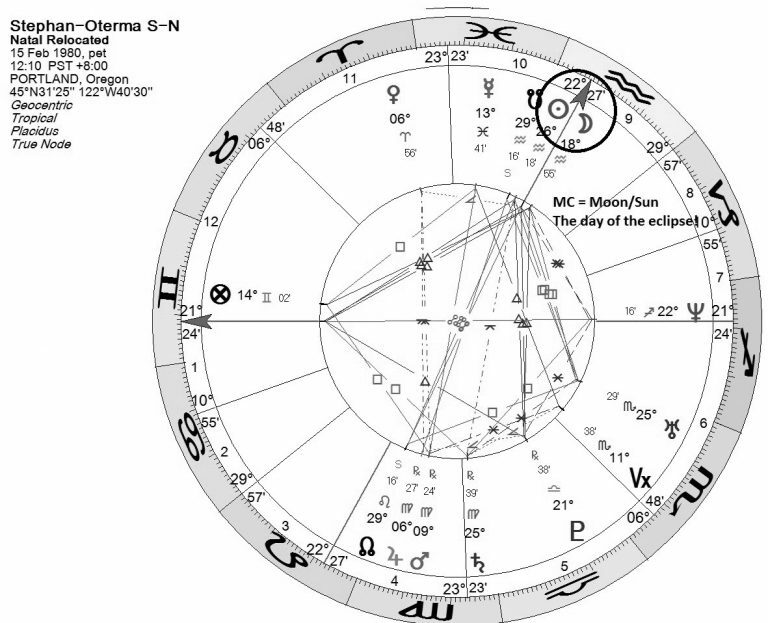 Mass murders or politically manipulated events: Pluto lines. Accidents, fires, massive loss of life due to aggression: Mars lines. Plane crashes: Uranus on the descendant and other Uranus lines. Loss of power (electricity): Pluto and Uranus lines. Contagious illness, accidents due to misdirection, spiritual events: Neptune lines. 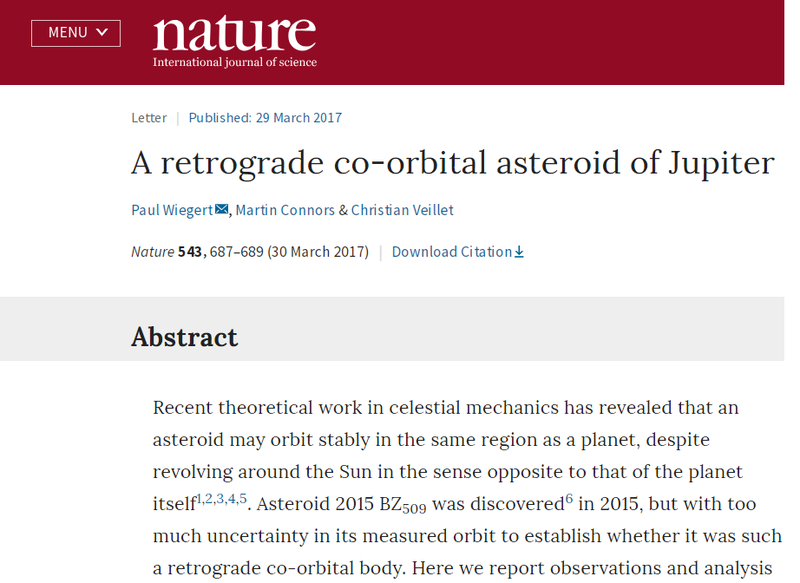 As for the time when extreme events (natural or man-caused) take place, my observation shows that they usually happen within 10 days before or after the cosmic events – comets’ crossings. Many take place within a few days surrounding those events. But more research has to be done in this respect. I have also not yet arrived to any definite conclusion as to how the comets’ directions affect the Earth locations. These seem to be more dependent on the Sun, Moon, node and planetary lines which stretch around the globe. Specifically, this means that if a comet reaches the Sun’s maximum declination south, the related event can happen in the lower OR upper hemisphere, and vice versa. Another point to consider is the “comet chart” as a whole. Especially strong processes/events tend to be activated when a lunation (full moon, new moon or a quarter moon) takes place at the time of the crossing, or where there are exact tense aspects involving malefics. If there is (for example) a tight opposition between Mars and Uranus in the comet chart, we need to put a special emphasis on the affected areas. Now, to the example cases. Below are some of the comets’ appearances with the belonging data (comets’ crossings of sensitive points) and the observed effects upon Earth. Again, I have no idea when and where any of those comets were seen from Earth or when they reached perihelion or what zodiacal longitude they had at any particular moment. My only criteria were the data which I mentioned above, and which are listed under each comet’s section. 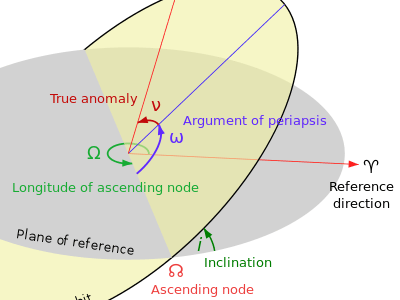 Anyone can look up the data (together with the comets’ longitudinal positions and other astronomical data) by the NASA Horizons program which is on their internet site. 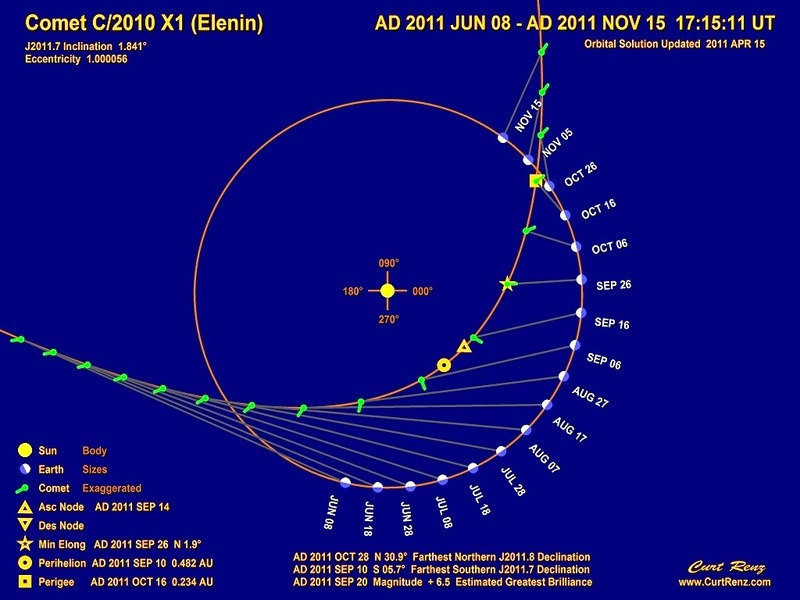 Comet Elenin which was discovered in late 2010 by the Russian scientist Leonid Elenin, raised much anxiety among “pseudo-scientists” due to its long travel inside the Sun’s orbit and its closeness to the equatorial plane which it crossed no less than 4 times within a relatively short period of 10 months. The first crossing occurred on November 30, 2010. November 28: Parts of the UK experience their coldest temperatures on record for November overnight. Ireland experiences heavy snow which causes disruptions to its transport system and its finance minister. November 30: Ireland is hit by snow and record low November temperatures that disrupt the nation. 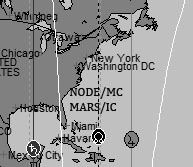 In the Elenin ACG map, Saturn is exactly on the IC for Ireland – Saturn/IC! At least 8 people are killed when a Russian Ilyushin Il-76 cargo plane bound for Khartoum, Sudan, crashes minutes after take off in a residential area of Karachi, Pakistan. Uranus on the descendant for Karachi, Pakistan, and square MC (within 100 miles) – Uranus/descendant. December 2: More than 55,000 animals are being culled after a breakout of foot-and-mouth disease at pig farms in South Korea. In the Elenin chart, Neptune is on the IC throughout the mainland of South Korea – Neptune/IC! The chart of the Elenin crossing shows Saturn on the ascendant over the Honshu Island – not particularly close to the location of the quake, although both charts (for the quake/Fukushima and Christchurch locations) are remarkably suggestive of an earthquake. In the chart of the crossing for Fukushima, you will notice the powerful 8thharmonic convergence of the Moon, the nodes, Uranus and POF. 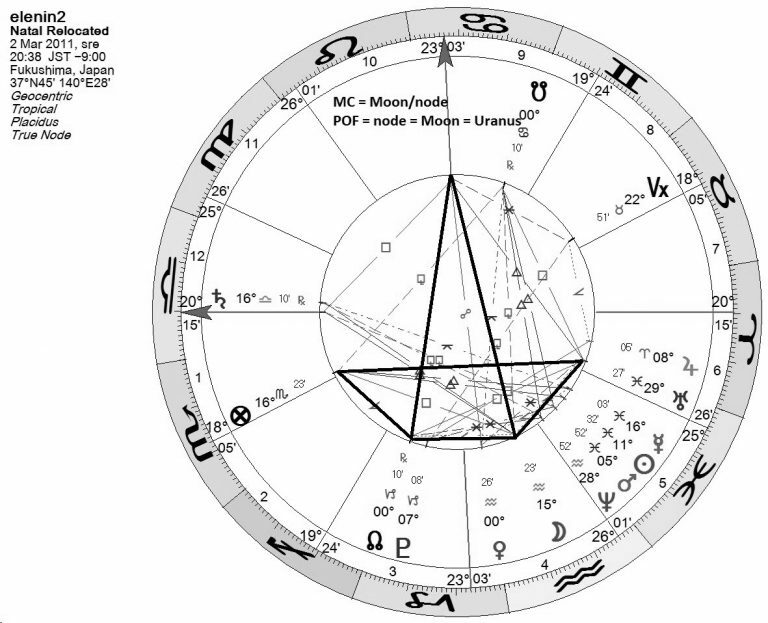 For clarity purposes, only the main midpoints are shown on the chart. I should add that there were other strong planetary phenomena leading to the occurrence of those earthquakes – notably the accompanying eclipses, midpoint structures of distant planets (Pluto = Saturn/Uranus, for example), Uranus ingress and the nodal ingress, but the Elenin crossing which took place so close to both events and roughly in the middle of them, obviously participated in the formation of the force which had such disastrous consequences. The third equator crossing occurred on August 12, 2011. In early August of 2011, “senseless” violence spread from London to Britain’s Midlands. The riots are cited as being “the worst in the country in decades”. 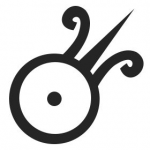 [v] Phenomena: Moon on the IC for London – Moon/IC (Moon rules the “public” ie crowds)! On the day of the fourth crossing, September 26, 2011, more than 100,000 people in the Philippines were evacuated ahead of Typhoon Nesat, with Albay province lying directly in the storm’s pathway[vi]. The fascinating fact is that the exact opposition of the Sun (with Mercury) and Uranus, which was formed on that day, stretched itself directly over the MC/IC for that region in the comet chart: Sun/MC, Mercury/MC, Uranus/IC! On September 25, the previous day, an out-of-control forest fire near the Canadian town of Fort McMurray in Alberta caused the closure of Highway 63. [vii] In the comet ACG map, the location had Mars/IC and node/descendant – exact. On September 27, at least 37 people were killed, including 30 schoolchildren, and another seventy critically injured following a school bus accident at Kallar Kahar in the Punjab province of Pakistan. 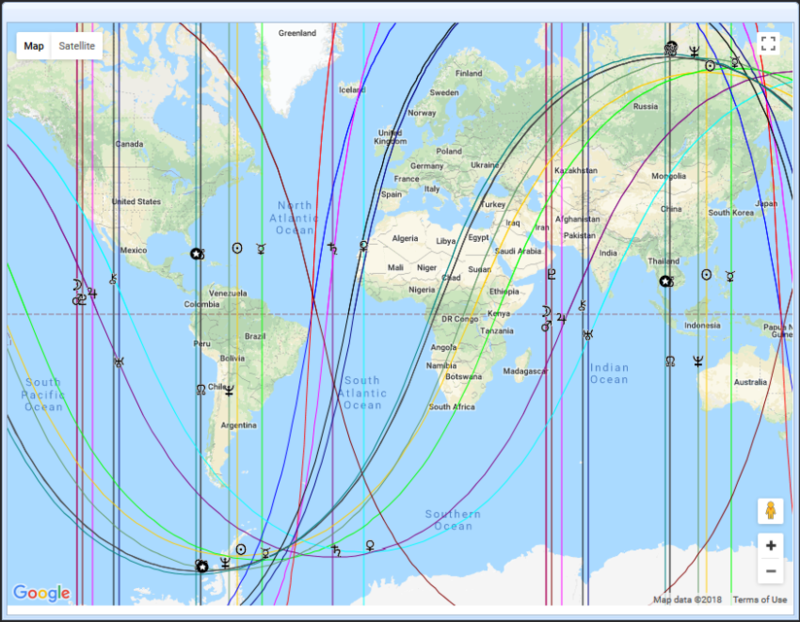 [viii] Mars was on MC over Pakistan, and exactly square the ascendant/descendant axis over the locality of the accident: Mars/MC, Mars square asc/desc. On January 31, 1996, two days before the comet’s crossing of the Sun’s maximum declination, an explosives-filled truck rammed into the gates of the Central Bank in Colombo, Sri Lanka, killing at least 86 and injuring 1,400. [x] The Sun was exactly on the ascendant for Colombo in the comet chart (Sun/ascendant). On February 4, 1996, 2 days after the crossing, an earthquake near Lijiang in southwest China, measuring up to 7 on the Richter scale, killed at least 240 people, injured more than 14,000 and made hundreds of thousands homeless. [xi] Pluto was on the MC for the epicenter (Pluto/MC). On December 4, 1996 at Port Moresby, Papua New Guinea, a volcano destroyed the Buduwa village on the “ring of fire”. 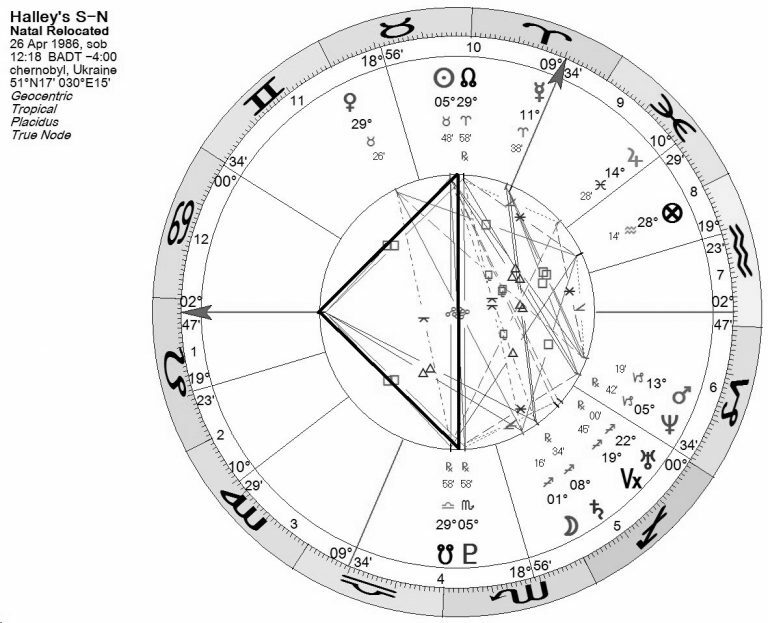 Pluto/ascendant (exact) in the December 5, 1996 chart. From Wikipedia: “The 1997 group of forest fires in Indonesia that lasted well into 1998 were probably among the two or three, if not the largest forest fires group in the last two centuries of recorded history. In the middle of 1997 forest fires burning in Indonesia began to affect neighbouring countries, spreading thick clouds of smoke and haze to Malaysia and Singapore.” Mars/descendant in the September 1997 chart. On May 5, 1997, exactly on the day of the second crossing of the Sun’s maximum declination, a very strong earthquake killing 2400 hit Iran. Comet phenomena: south node/MC over the epicenter. On June 25, 1997, two days before the comet’s equator crossing, a massive eruption of the Soufrière Hills volcano on the island of Montserrat led to evacuation and eventual abandonment of the capital, Plymouth. Comet phenomena: Pluto/MC, Moon/descendant, node/ascendant. (Those were not exact – several hundred miles to the east and west). The comet left the Sun’s realm on August 28, 1997. The chart for this phenomena had Mars on the IC (Mars/IC) for Paris. Princess Diana died in a car accident in Paris three days later (August 31). Although a personal tragedy, this was a mundane event, too, since Diana was such a famous woman. PICTURE 3: Mars/IC and Neptune/IC over Paris/Algiers and Calcutta respectively. 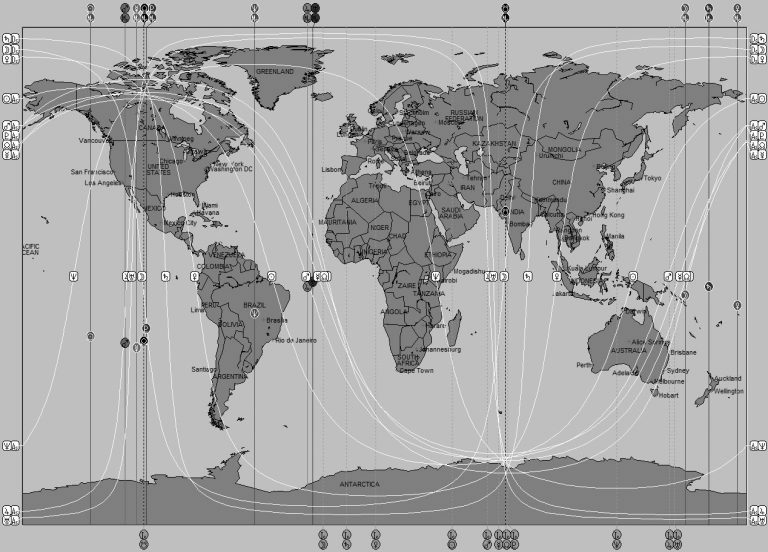 Halley’s comet crossed equator from north to south (N/S) on September 15, 2001, at 11:17 UT. A few days earlier, on September 11, 2001, the twin tower was attacked. New York City had (roughly, (175 miles orb) node/MC and Mars/IC – Mars is linked with attacks and the nodes with large groups of people. The same comet crossed Sun’s maximum declination of 23°26´36´´ (from south to north) on April 26, 1986 at 8:18 UT – the day of the Chernobyl disaster. 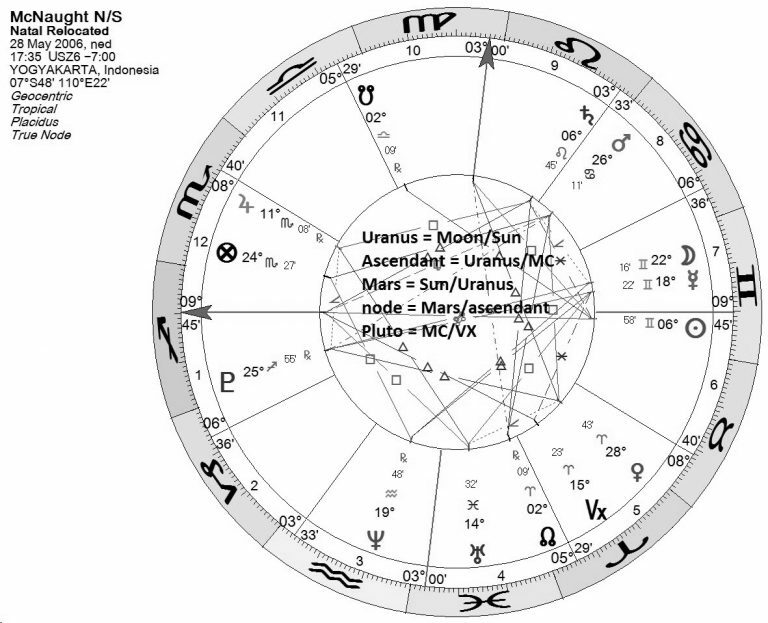 As you may remember, that was the day of the exact opposition of the Sun and Pluto which were conjunct the nodes; in the comet chart, the ascendant/descendant axis was in an exact square of the north node/Sun and south node/Pluto opposition for Chernobyl location. In the Halley’s comet 1910 appearance, the period around it’s June 6 crossing saw torrential rains northern Europe, killing over 200 in Germany – Moon/descendant. On June 7, 1910, there was a stong earthquake in southern Italy – Jupiter/MC. May 18, 1980, saw the eruption of the Mount St Helens volcano. On February 15, 1980, at 20:10 UT, Comet Stephan-Oterma reached the the Sun’s maximum declination point of 23°26´23´´- south, heading north. It was a sensitive day of the total solar eclipse in Aquarius – and those degrees were exactly over the Mount St Helens region at the the time of the comet’s crossing, forming an exact midpoint: MC = Sun/Moon. Although the volcano erupted 3 months later, it should be noted that the eruption was preceded by a two-month series of earthquakes and steam-venting episodes, caused by an injection of magma at shallow depth below the volcano. According to the comet’s crossing, we may conjecture that it was all set into motion already one month before that – starting with the comet’s influence upon the Earth. Nebraska is rarely short of tornados, but there hasn’t been one like that on June 3, 1980 when a series of deadly tornadoes stroke Grand Island, Nebraska, causing over $300m in damage, killing 5 people and injuring over 250. Comet Kohoutka crossed equator 2 days later (on June 5th). The Moon was on MC (Moon/MC) for the Nebraska region at the time of the comet’s equator crossing. The synchronicity of the two events is, again, striking. Also known as the Sumatra-Andaman earthquake of magnitude 9.15, occurred on December 26, 2004, at 00:53:58 UT. While the earthquake itself lasted for only 10 seconds, it caused a tsunami that killed 200,000 to 310,000 people along the shores of Indonesia, Sri Lanka, South India, and Thailand. Until today, the 2004 tsunami has remained the deadliest in recorded history. The 2004 earthquake and tsunami combined are the world’s deadliest natural disaster since the 1976 Tangshan earthquake. 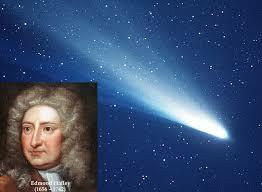 On December 7, astronomer Robert Roy Britt reported[xv] of »a new comet now visible to naked eye«. »A comet discovered earlier this year has now moved close enough to be visible without binoculars or telescopes by experienced observers under dark skies. It is expected to put on a modest show this month and into January,« says he. It was estimated that Comet Machholz would be at its closest to Earth Jan. 5-6, 2005, when it will be 32 million miles (51 million kilometers) away. But the comet crossed the Equator (from south to north) on December 27, 2004, at 10:03 UT. Uranus was roughly on the MC and Pluto on the descendat for the region (Uranus/MC, Pluto/descendant). The link with the earthquake which occured only 9 hours sooner is devastatingly obvious! Comet McNaught (C/2006 P1), called The Great Comet, crossed the Sun’s maximum declination of 23°26´28´´ (from north to south) on May 28 2006 at 10:35 UT. May 27, 2006, the day before the comet’s crossing, saw the devastating 2006 Java earthquake[xvi]: a tectonic earthquake killing close to 6000 people and injuring more than 3400. The 6.2 magnitude quake stroke at 5:54 a.m. Comet phenomena: Sun and Moon were roughly on the descendant and Uranus in the 4th house, forming an exact midpoint between the Sun and the Moon. Comet Ikeya-Seki crossed the Sun’s maximum declination south (heading south) on November 9, 1965, at 20:29 UT. 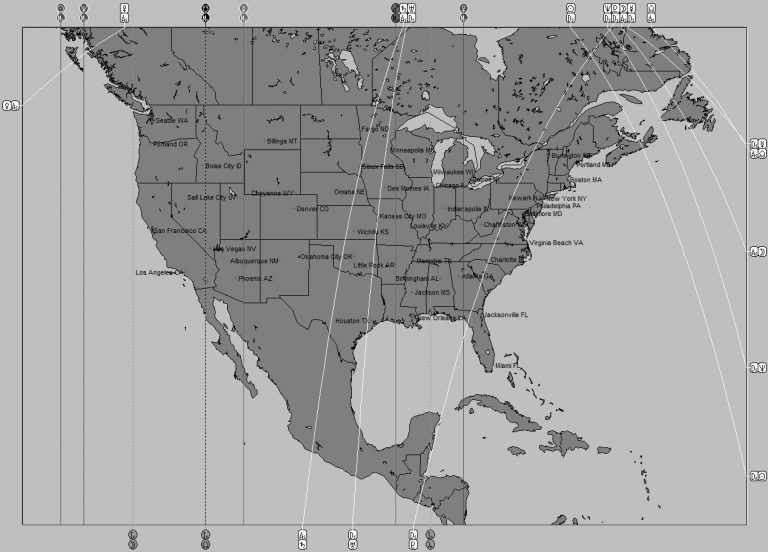 That same day saw The Northeast blackout of 1965 which was a significant disruption in the supply of electricity, affecting parts of Ontario in Canada and Connecticut, Massachusetts, New Hampshire, Rhode Island, Vermont, New York, and New Jersey in the United States. Over 30 million people and 80,000 square miles (207,000 km2) were left without electricity for up to 13 hours. [xvii] The blackout was ascribed to a man’s fault, but the fascinating “coincidence” is that Pluto was exactly on the descendant line for the region of the blackout (Pluto/descendant)! And which planet could be more descriptive of such an event?! This comet reached another solar maximum declination point on February 5, 1966, at 23:16, this time passing from south to north. According to the net[xviii], several interesting events took place on or around this date, notably the plane crash in Tokyo. 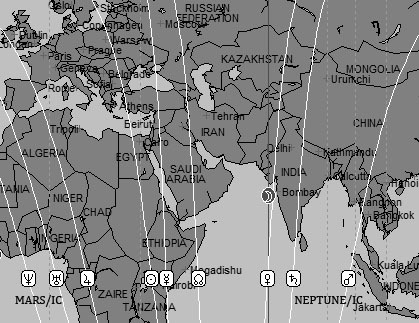 The fascinating fact about the All-Nippon airplane crash is that Tokyo, Japan, lies neary exactly along the Uranus/descendant line of the Ikeya-Seki solar maxima event of February 5, 1966. This comet seems to have a strong Uranus connotation, since so many Uranian events took place when it activated the Earth’s atmosphere (electricity, airplanes, broadcasting, space travel). And, oh, yes: On October 23, 1835, at 19:35 UT, Comet 1P/Halley crossed equator from north to south. 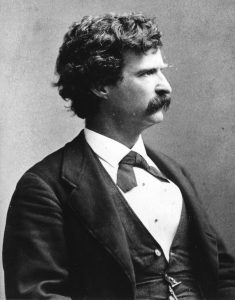 At this minute of time, the Moon was exactly on the MC line for Florida, a town in Missouri, USA, where Samuel Langhorne Clemens aka Mark Twain was born shortly over a month later, on November 30, 1835. Could it be that he received his »soul« via the Moon from that comet which played into the quality of the universe, and time, at that very moment? On June 6, 1910, at 18:19 UT, the same comet crossed equator from north to south, again. In Redding, Connecticut, USA, where Mark Twain passed already on April 21 of that year, Jupiter was exactly on the ascendant line at that time, in an exact trine with the Moon, shining upon it from the 9th house. Could it be that the universe was trying to convey that Mark’s soul had been safely delivered to where it came from? It just could, I know. But, as already said, not only birds can fly :).